The American pro is arguably one of the best tournament players in the world with $7,004,036 in live earnings. 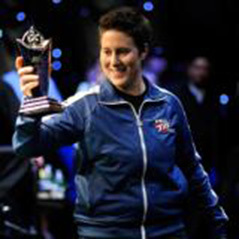 Indeed, her last significant score came in January when she took down the PCA’s $25,000 High Roller event for $1,424,420 to become the highest earning female of all-time. Vanessa’s AmA will take place at 5pm EST today on Reddit’s forum and will follow the same trend as recent question and answer session by Tom “durrrr” Dwan and Antonio Esfandiari.